A multiloop dc SQUID from 2 YBCO layers and an intermediate STO insulation layer. The diameter is 7 mm. 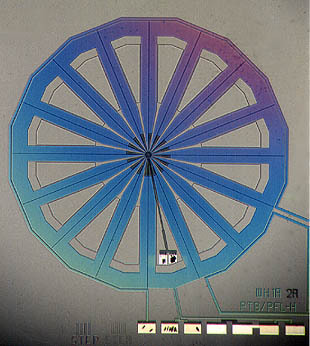 The smallest structures on this chip are 3 µm wide. The multilayer magnetometers described here are based on two superconducting YBa2Cu3O7 layers and an intermediate SrTiO3 layer for their insulation. Both types of thin-films are deposited by off-axis rf magnetron sputtering in an Ar/O2 atmosphere. The patterning of the thin-films is done by conventional photolithography and Ar-ion beam etching. 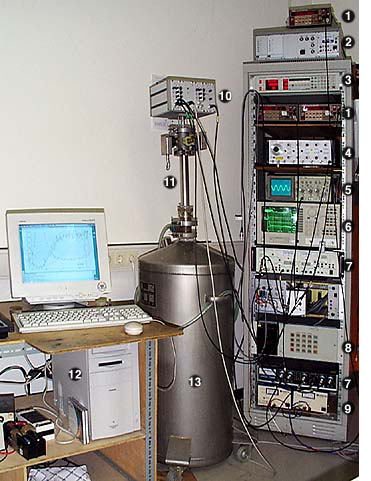 Single layer magnetometers have also been prepared by a pulsed laser deposition process using a 248 nm KrF Excimer laser. 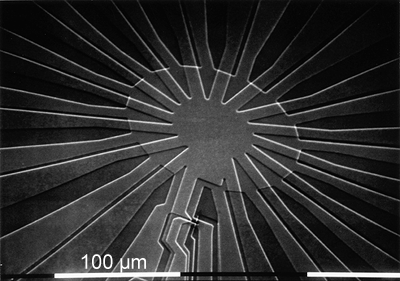 SEM micrograph of the central part of a multi loop magnetometer in multilayer technology. 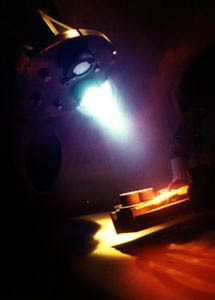 Laser ablation plume while depositing a YBCO thin-film. 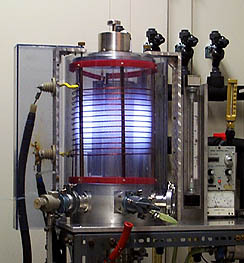 Barrel chamber for oxygen plasma treatment of YBCO thin-films. 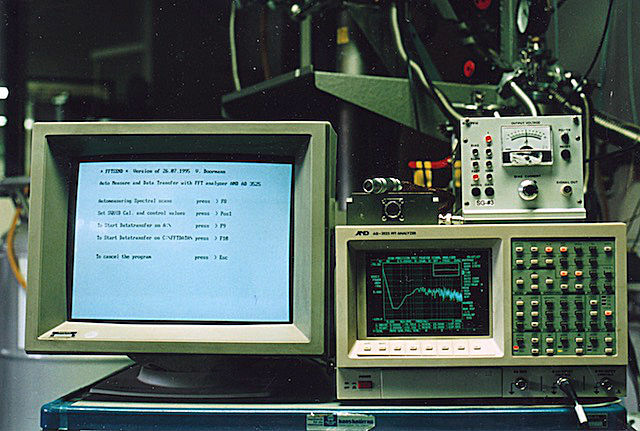 All instruments are connected via GPIB Bus to an Apple Power Macintosh (More details). FFT analyzer and SQUID FLL electronics.